With four months to go before the European elections, making predictions on their results would be a tall order anywhere. More so in Italy—a country where politics often defy any notion of linearity. Euro elections landscape, 2014. Flickr/David Baxendale. Some rights reserved. Predicting the outcome of the European elections in Italy is perhaps harder than anywhere else at the moment. For one thing, the possibility of Enrico Letta’s government falling in time for new national elections to be held together with European ones cannot be ruled out completely. Should that scenario materialise, we will be dealing with an entirely different ball game, in the first place because of a much higher voter turnout. For another, the country’s entire political spectrum is currently in a state of flux: over the past few months new political groupings have been created and new leaderships established, and they are restructuring the party system in ways that will not be completely clear for a while. In fact, the outcome of the May elections will itself be a key determinant in this restructuring. If good old Donald Rumsfeld was commenting on Italy’s political landscape ahead of the European elections he would warn us not only about its many ‘known unknowns,’ but also and especially about what, at this stage, we don’t know we don’t know. And he would be right. The only two (easy) predictions one can make at this point are, first, that the Italian electoral campaign will be dominated by two broad and closely connected themes, i.e. the country’s economy and its long overdue structural and institutional reforms. Second, these European elections will be much more about Europe than ever before—although not necessarily in a good way. After the break-up of the People of Freedom party and Silvio Berlusconi’s departure from the governing coalition in November, the line between government and opposition has come to coincide roughly with that separating supporters and critics of the euro. It is therefore around this latter cleavage that we should expect most of the debate to be structured. The Five Star Movement (Movimento 5 Stelle, M5S) is probably the best placed in the Eurosceptic camp thanks to a highly mobilised electorate. Renegotiating the Fiscal Compact and holding a referendum on the euro have been among the movement’s key proposals from the beginning, and will continue to be in the coming electoral campaign. More generally, the M5S will court the votes of those who are frustrated by the lack of substantial economic recovery and the lacklustre performance of Letta’s bipartisan government in tackling Italy’s economic and political woes. Ever since its exploits in the February 2013 national elections, the M5S’s electoral strength has been estimated consistently at 20 percent or so. There are, however, some signals that Beppe Grillo’s maximalism might be beginning to backfire. Some of the party’s more moderate MPs, for instance, have voiced doubts about Grillo’s rejection of Matteo Renzi’s (the new Democratic Party leader) recent overtures on institutional reforms. The May elections will clarify to what extent such feelings are shared by the movement’s electorate. The M5S’s main competitor for the anti-euro vote will be the Northern League (Lega Nord, LN). Recently weakened by a series of scandals—the latest involving Piedmont region president Roberto Cota, who is accused of misusing reimbursement funds—the League has, however, also displayed an unusual ability to self-reform. In a party election held last December, Matteo Salvini inflicted a humiliating defeat on historic leader Umberto Bossi, and became the new head of the NL. Under Salvini the League is unmistakably going back to its populist roots, presenting itself as the sole true defender of Northern Italy’s people and businesses against parasites and intruders from Rome, Brussels and Berlin. As part of this new strategy, the NL also claims to be the only party truly in earnest about leaving the euro—a move aimed primarily at luring voters away from the M5S. Unlike the Five Star Movement, finally, the League is adding a transnational dimension to its campaign, forging alliances with other Eurosceptic parties, most notably France’s extreme right Front National. In the Eurosceptic camp more broadly defined one also finds Silvio Berlusconi’s re-founded Forza Italia. The party’s European policy is still somewhat ambiguous. For one thing, it is not yet entirely clear whether FI will be admitted into the European People’s Party (of which its predecessor, the People of Freedom party, was part). For another, and more substantively, the party is torn between the hawkish anti-euro (and anti-German) position of some of its most prominent members, such as economist Renato Brunetta, and Berlusconi’s attempts, after his tax fraud conviction, to restyle himself as a responsible and moderate leader—for example by recently cutting a deal with Matteo Renzi on some institutional reforms. It is likely that FI will eventually strike a balance between these two positions by taking a “Gaullist” stance on European integration: one that sees the latter as necessary but emphasises Italy’s national interests in it. How credible that message will be when presented by someone who is less respected than derided in European circles remains to be seen. Unwavering support for European integration and the monetary union is one of the things that keep together the otherwise factious Democratic Party (Partito Democratico, PD). Generally speaking, the party will most probably centre its campaign on the idea of fiscal responsibility at home combined with a call for a more federal and Keynesian EU as the proper response to Europe’s economic troubles. The PD is also more likely than any other major party to try and push the debate beyond the ‘euro vs monetary sovereignty’ dichotomy and into more specific policy issues, in the first place those pertaining to structural policy and development. This is due not only to the PD’s governing role, which makes it less interested than others in trivialising public discourse, but also to this party’s clearer positioning within a Europe-wide campaign and agenda, namely that of the European Socialists and Democrats and their presidential candidate Martin Schulz. Any uncertainties and problems for the PD will come from domestic and intra-party issues. The recent election of Florence mayor Renzi as the new party leader has produced a gap between the hierarchy of the PD on one side, and its representatives in parliament and government (selected under the old leadership) on the other, which is more and more problematic. Eager to break with the Letta government’s ‘graveyard stability,’ Renzi is now pushing for a number of major reforms—most notably an electoral and a labour market one—whose progress, or lack thereof, will affect the PD’s performance in May. Here too, however, cause-effect links are not as straightforward as one might think: should Renzi fail in his reform efforts, much will depend on whether he will be able to shift the blame onto the old guard of the party. Success, on the other hand, might come at the price of a greater rift with the left wing of the PD, which could in turn undermine Renzi’e electoral gains. Sharing the mainstream camp (and the government) with the PD is, finally, the Nuovo Centrodestra (NCD), a splinter party born out of interior minister Angelino Alfano and other People of Freedom dissidents’ refusal to follow Berlusconi in opposition. In the overall uncertainty of Italian politics, the NCD is the biggest question mark of all. The party desperately lacks charismatic leadership and does not have much of a programme beyond a vague adherence to the EPP’s values—which will probably put the NCD in the awkward position of being an ally of Angela Merkel’s while having to criticise her European policies for electoral reasons. 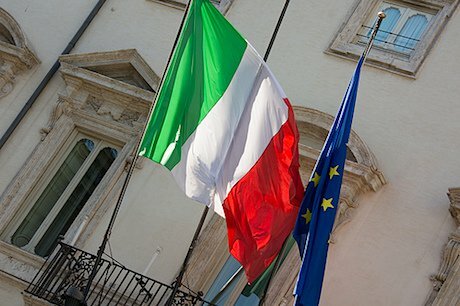 The May elections will tell us not only how able the NCD will be in treading this line but also, and especially, whether the party can realistically be the nucleus for the formation of a modern and respectable conservative bloc or, on the contrary, whether Italy should once again postpone that development for more propitious times.